As the high street fights the tide of online shopping, retailers have adopted the ‘digital store’ model – but there are drawbacks for some. 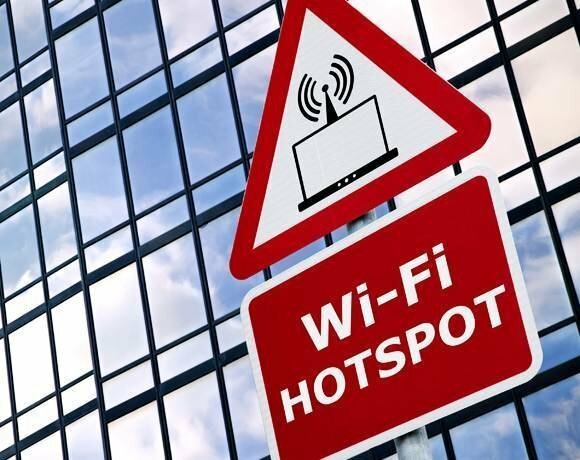 A growing trend in retail stores is the provision of free Wi-Fi for customers. As more people use mobile devices, retailers are strategically placed to offer their customers free connectivity. It was a trend that began in coffee shops and the hospitality industry, but retailers are also debating the benefits of offering Wi-Fi. Argos has installed the technology in its 735 stores across the UK. The retailer started its journey to become a digital retailer with the launch of six digital concept stores, using iPads, before Christmas. It plans to roll out tablet technology across other stores later, to replace the traditional catalogue format. Its Old Street store in London (pictured above) is one of the pioneering digital stores. During a press preview in November, it was using around 40 tablets to help customers choose items in-store. The devices run off Wi-Fi provided by O2. O2 customers who have already signed up to the operator’s Wi-Fi service will automatically connect when entering an Argos store, but new customers will have to go through the sign-up process first. Once connected, users will be able to view extended online ranges and get access to exclusive online deals and offers, as well as using the network for their usual browsing activities. Paul Crutchley, strategic engagement director at the GSM Association, says it is important for retailers to invest in Wi-Fi correctly, otherwise it will turn off customers. For example, if a store puts a limit on downloads – such as restricting streaming of YouTube – this could irritate customers and drive them away. “In the long term, is that the right thing to do with the advent of 4G and LTE? I feel you’ve got to be compatible across multiple networks and Wi-Fi is one of the enablers,” he says. Wi-Fi is not installed by retailers to provide a free service for their customers. It is about understanding consumer behaviour in store, but retailers can capture important data about their consumers in exchange for free Wi-Fi connectivity. Customers accept the terms and conditions of using the network, which allows the retailer to track where you are in the store. “You’ll be walking around a store and picking up objects that you might not buy and there’s analysis around the store to say: ‘John looked that item up but didn’t put it in his basket, but he did put this in his basket.’ What retailers actually want to do is better understand their customers,” he says. With Wi-Fi, more contextual information can be gathered, such as how they move through the store, but Bamforth says there are also reasons why retailers would not want to put connectivity in store. “One thing you can do with connectivity is shop around other retailers without moving,” he says. Greater connectivity provided by in-store Wi-Fi may increase the chance of customers comparing prices with competitors online. Bamforth says this threat is preventing the wide-scale adoption of free in-store Wi-Fi as retailers attempt to weigh up the values for and against. “It could be a double-edged sword from a retail perspective, so it might be better not to do that,” he says. Dom Keen is chief executive at MoPowered, which helps retail businesses trade on smartphones and tablets. He says there is a growing trend where, over the next 12-18 months, retailers will begin putting Wi-Fi in store. He says he is receiving increased interest from retailers putting Wi-Fi in their shops to complement in-store tablet applications for consumers to research products. Keen says the proliferation of mobile internet means consumers will compare prices whether a retailer has Wi-Fi or not. “But if you make the in-store shopping experience the best it can be and provide what the customer needs, the chances are people in the store will buy in the store,” he says. Paul Crutchley, strategic engagement director at the GSM association, works with retailers to improve their mobile offering. He says barcodes, QR codes, near-field communications, mobile web and big data over the mobile device can all help drive customers back into the store. Crutchley advises retailers implementing loyalty schemes not to bother investing in their own mobile applications, but to use one of the wallet schemes already available. He says it is not always down to the individual retailer’s technology, but the services that wrap around the community of the high street, that make the difference. “What keeps me in town that little bit longer and takes me into the evening?” he asks. Parking is one example of drawing technologies together. If, for instance, a customer’s parking is about to run out, they could receive a text message with an option to reply and add another hour or two to let them go to a restaurant, spending more money in the town. “It takes it one step further with an holistic town and retail perspective,” says Crutchley. Motorola Solutions has been working with supermarkets to implement in-store Wi-Fi networks that recognise the smartphones of returning customers. When the technology recognises customers’ devices, it can also identify previous purchases. Combined with Wi-Fi tracking capability, the retailer can tailor individual offers to customers, depending on where they are and what they have bought in the past. For instance, a customer who has bought a barbecue set could receive a special offer while walking through the meat section of the store. But some stores see a big cost barrier. Poundland does not provide Wi-Fi to customers in-store. IT director Mike Grays says that, for Poundland in particular, there is a high degree of product churn, and individual products are not allocated to a particular area. This means the data that can be taken from customers walking around the store can not be analysed in the same way as other stores with less churn. Some retailers are investing in installing Wi-Fi for store use, before considering the benefits of offering it to consumers. Clothing retailers Coast, Oasis and Warehouse have experimented with in-store iPads and Wi-Fi to improve customer experience and improve costs. The companies have deployed 150 iPads and Wi-Fi to 60 stores for the sole use of staff. Richard Glanville, the CFO in charge of IT and distribution at Aurora Fashions – the parent company of the retail brands, which was responsible for the implementation of the iPads – said says iPads are much cheaper than a full PC-based till system: “It allows you to interact with the customer, particularly at the fitting room. They huddle around the iPad and talk to the customer about what they’re buying and what they’re doing with it,” he says. Glanville says the retailer had to justify the cost of the Wi-Fi system. Aurora tried eight stores initially, but continued to roll it out to the 60 stores with iPad devices. “I’d be very surprised if all stores and concessions weren’t fitted with Wi-Fi in 12 months,” he says. The industry may remain undecided but, as more retailers, cafes, restaurants and public spaces introduce Wi-Fi, the more the consumer will expect it as standard. Retailers who do not supply the connectivity risk standing out for the wrong reasons. But equally, retailers who do roll out Wi-Fi must use data mining analytics if they want to fully exploit the benefits of capturing consumer data. I find it beneficial to have tablets in the store, offering extended information about the products. Sure, I can research at home or on my mobile, but it shows customer care to have it all put together.